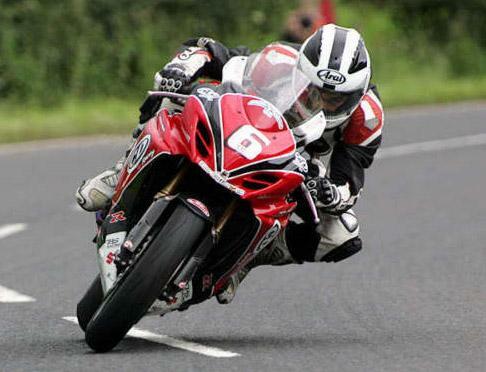 The bike was brand new in March 2010 and supplied by TAS Racing directly to CD Racing and prepared for the 2010 road race campaign for William Dunlop. It's the 2010 model with the blue frame and swingarm. The bike has raced at the Cookstown 100, North West 200, Isle of Man TT and Ulster Grand Prix as well as a handful of national Irish road races. The bike has been thoroughly maintained and everything it has needed it's got. Oil and filter changed after every race meeting and anything else it's needed. The bike lapped the Dundrod (Ulster Grand Prix) course at 131mph and was through the speed trap at 195mph with William onboard. It's a excellent fast, reliable package! The bike is in excellent condition and ready to race. The bodywork is 100% but could do with a paint-job as the paint has some stone chips from doing the road races. This bike is a fantastic piece of kit, super fast, super reliable. The bike is exactly as it finished it's last race, no parts removed. Change of machinery forces sale. Also available is 1 x Front and 2 x Rear 16.5 rims with Brembo discs to suit this bike. They will be offered to the buyer at an additional cost. The bike is located in Bangor, Northern Ireland and must be collected. We can meet/deliver to the Belfast docks if required. A £500 deposit is required at the end of auction and remaining payment in cash and collection within 7 days. The bike will not be released until bike has been fully paid. Any questions please email me or call 07541017622.